Due to ancient Chinese leaders and family heads being obsessed with controlling knowledge and information, we believe much of the history has been lost or destroyed, and the following is based largely on oral tradition. The tiger is one of many animals in a much larger system known as LAMAS Qigong (or sometimes LAMAS T'ai Chi Qi Gong) which incorporates both a health art and a martial art. LAMAS Qigong is based on Daoist philosophies primarily concerned with improving and preserving good health, but with ancient China being a violent place, part of remaining healthy meant avoiding being killed by other people; so perhaps it is not surprising that a martial art began being practiced along the health art. When learning LAMAS as a martial art, the health side is still considered very important. "Qigong" roughly translates as "breath work", and an essential part of learning LAMAS Qigong (whether for health or martial art) is learning how to breathe. Students will therefore learn gentle body movements which have specific health benefits, as well as martial interpretations. LAMAS Qigong was originally based on 5 animals: Lion, Bird, Monkey, Fish and Snake. 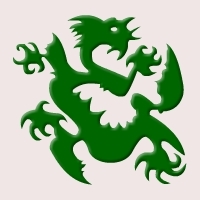 Later, a Dragon system was formed by combining elements of each of the animals, and then a Tiger system was added as a yang to the Dragon's yin. Unlike many other tiger martial arts that are often based on a tiger fighting a crane, the LAMAS tiger is fighting a dragon. It is believed that a LAMAS practitioner would have been in charge of looking after the emperor's health. He would do this by teaching the emperor qigong exercises and would train the emperor's bodyguards to be elite fighters. 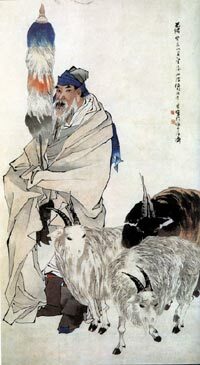 The oldest recorded LAMAS Qigong Grandmaster is Su Wu. He is well known in Chinese history for his loyalty to the Han Dynasty, and it is believed that he lived from 140BC-60BC. Su Wu, who was a deputy commander of the imperial guards, was sent by Emperor Wu, along with another deputy commander called Zhang Sheng, on a peace keeping mission to northern China. Things didn't go smoothly, and a local leader called Chanyu Qiedihou demanded that the men surrender and served him. Whilst Sheng surrendered, Su refused, even when a sword was put to his neck. As punishment, Chanyu Qiedihou locked Su Wu in a cellar without food or water. Su Wu managed to survive by practising qigong, eating snow that fell into the cellar and eating his own clothing! The chanyu eventually gave up and exiled him. In 81 BC, after 19 years, Su Wu finally returned to Han and was given the rank of Director of Colonisation. The story of Su Wu's fortitued and loyalty has inspired several songs, poems and plays. Grandmaster Sikung Lowe is a direct descendant of Su Wu, and is the world authority on LAMAS Qigong. Now in his sixties, Grandmaster Lowe has been practicing LAMAS Qigong since he was 6 years old. Grandmaster Lowe has published several instructional videos and two books: "The Art of Daoyin" (out of print) and "The Stress Elimination Handbook." You may be wondering why, out of all the animals in LAMAS Qigong, we are teaching the Tiger System. The Tiger system lays a very good foundation, is relatively easy to learn and easy to apply (compared to other animals in LAMAS). It does not require extreme flexibility or strength. Once a student has reached black sash in the tiger system, he or she can decide whether to learn the more advanced "White Tiger" system or specialise in one of the other animals. Many people ask about the weapons used with the Tiger system. 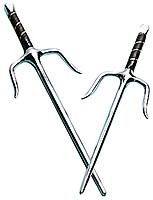 Traditionally the main weapons used would have been either the tiger fork (trident), or a pair of what are commonly called sai (2 forks with long middle prongs). The sai are very much in keeping with the tiger philosophy of moving in close and controlling an attacker. They can be used to trap other weapons to bend or snap them. Sometimes, the sai in one hand will be used to trap a weapon while the one in the other is used to stab or strike at the attacker at the same time. As they have little use in modern life, weapons are now only occasionally taught to senior students.